It was confronting homelessness around every corner that altered her soul. Having traveled to New York City several times in her eight years, she has asked what it means to be homeless and how we can help, but something about this trip left her with a renewed sense of responsibility to people in need of help. She no longer wanted to donate bags of coins collected along our walks. She wanted to take action in the form of providing direct help. She’s been talking about it ever since. When tragedies hit the news we talk about change. We discuss the politics that hold us back and where we need to go from here. We debate problems and argue about solutions, but we don’t really make many changes. While that might feel hopeless to some, I believe there are grassroots efforts we can make that will impact us for generations to come. 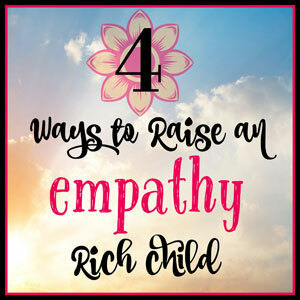 We can start by raising empathy rich children. We can come together and choose to raise kids who genuinely care about others. We can stop the incessant competing and judging that trickles down to our children and hit the reset button. We can sit back and enjoy youth sports, for example, instead of screaming our heads off and spreading negativity. We can walk in another mom’s shoes before we complain about her lack of effort for the PTA. We can take back humanity and, in doing so, raise a more empathic generation of people. In his book, Free to Learn: Why Unleashing the Instinct to Play Will Make Our Children Happier, More Self-Reliant, and Better Students for Life, author Peter Gray describes empathy as, “a tendency to connect emotionally with others, to see things from others’ point of view, and to feel sympathy for others’ misfortune.” That’s a powerful statement, when you truly stop to think about it. The trouble with empathy is that it is often watered down in the media. It’s reduced to a buzzword – something people talk about but don’t often follow through on. If we think about empathy from Gray’s point of view, it becomes an essential life skill. Consider a world where people stop and think about the feelings of others (their potential misfortunes even) before they act on their own emotional impulses. 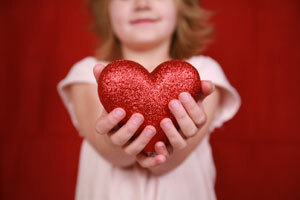 Might we see a decrease in bullying and anger related outbursts and an increase in helping those in need? Isn’t it worth a try? One thing I know for certain is that we can’t afford to continue to raise empathy deficient children in this world. Test scores might be the key to college acceptance, but social emotional skills will last a lifetime. It’s time to focus on raising empathy rich children. 1. Validate a range of emotions. If kids are to care about the feelings of others, they need to achieve self-awareness of their own feelings. Too often parents run in to fix things so that kids don’t have to experience negative emotions, but this is a mistake. Negative emotions are part of life at every age and stage. Kids need to learn how to process and cope with all of their emotions, not just the good ones. It’s never too late to build an emotional vocabulary. I can’t tell you how many adolescents flop down on my couch and struggle to process any emotions beyond mad, sad and happy. Life is full of ups and downs and one million shades of gray – discover and discuss every emotion that people encounter as often as possible. In validating a range of emotions, you help your child view others through a new lens. The world can be a scary place and it’s no big secret that the landscape of fear has changed for parents over time. School shootings, food allergies and cyberbullying are just a few things that worry parents these days. As a result, we tend to shield kids from sad stories as much as possible to preserve their innocence. The truth is that talking to kids about global issues and tragic stories actually opens the door to empathic thinking. When we hide the truth, we send the message that these things don’t matter. When we engage in meaningful (and age appropriate) conversation, we plant the seeds of empathy. Sounds easy, right? The problem is that in this culture of busy, it’s difficult to slow down and focus on things like kindness and empathy. When we are always on the go, and probably sleep deprived to some degree, we are short on time and patience. The key to raising empathic kids is to show empathy in your parenting and out in the world. Stay calm when you encounter a frustrating parenting moment. Take the time to process your emotions and triggers before you react to model emotional regulation to your kids. Consider their triggers before you respond in anger. Demonstrating empathy in our day-to-day lives helps kids develop an internal sense of right and wrong. As difficult as it can feel to take on one more thing, volunteering to help others is a great way to instill empathy in your children. Think small. Help carry groceries or rake leaves for an elderly neighbor, for example. Building community connections and providing first person help encourages kids to become change makers. Last week an envelope containing two dollars with the words “pay it forward” came home in Riley’s homework packet. The goal was to give to money to someone in need and then write about how it felt to help someone. She chose to pay it forward to a homeless man who often greets us near our grocery store. With a huge smile she walked right up to him, chatted for a few moments and then returned to me. “Let’s do that again”, she whispered, as she buckled her booster seat. Katie Hurley, LCSW, is a child and adolescent psychotherapist and author of, The Happy Kid Handbook: How to Raise Joyful Children in a Stressful World. Her work can be found on PBS Parents, Yahoo Parenting and The Huffington Post.